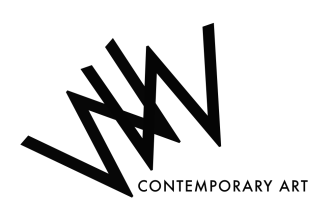 WW Contemporary Art (aka WW Gallery, Wilson Williams or simply WW) was established in 2008, by artist/curators Chiara Williams and Debra Wilson. WW quickly built a reputation as one of London’s leading contemporary artist-run spaces, curating consistently forward-thinking and innovative projects, totalling over 65 exhibitions and projects during its first 6 years, including collateral UK exhibitions at the 53rd & 54th Venice Biennales. During this time it represented 8 artists and supported the work of more than 300 artists, curators and writers through exhibitions, exchanges, collaborations, residencies, off-site projects, commissions, talks and publications. This website holds an - under construction - archive of all WW's exhibitions with images and texts, reviews and press and a list of all exhibited artists. For any further information, please contact us. "if this exhibition is a taste of things to come, the WW glass is certainly at least half full, for this is a very successful and promising launch to their new gallery space." "a new absolutely stunning gallery space in jewel belt Hatton Garden"
"WW Gallery’s ‘art supermarket’ made a good impression at the London Art Fair..."
"...since its opening in September 2008 it has been running a series of fearless and ambitious shows, featuring an eclectic array of work that runs from the beautiful and ornate to the grotesque and unsettling. Breaking away from the tendency of their East End counterparts to show work with a dry and introspective concern with theory, concept and the politics of the art industry, WW looks outward by staging shows centered around wider social and cultural themes. The result is often dark, frequently humorous and at once democratic and challenging. WW’s curators make full and imaginative use of the unique architecture of the space, which is flooded with natural daylight from both the front and back. More than just a sterile display case, the gallery is a hub of creative energy, where both works and visitors spill out on to the street and into the back garden at openings, and which has so far borne witness to everything from music and performance to pagan feasting." "As Frieze focuses attention on art as business, could there be a new model for the art market, one which places less emphasis on putting on exhibitions, relying rather on the Internet and Art Fairs to sell work? Maybe so, though we’re not there yet: for the most part the online market operates in a different commercial zone, and it’s a physical programme which secures entry to fairs. Yet there is a growing tendency for galleries not to simply close if that considerable commitment stops suiting them, but to embark on a different existence. ..WW have sub-let most of their Hatton Garden space, but retained an office there from which to run such initiatives as their Solo Award leading to a show at the London Art Fair...Those approaches have all evolved on the back of the credibility earned from running a more conventional space, but it will be interesting to see both whether they work, and – if they do – whether art businesses might be founded, rather than rebooted, on such models."